Kangen accounts for the highest sales numbers in the alkaline water industry by a wide margin. But recently, customers complaining of sky-high prices have found similar products from online competitors for less than half what they charge. Torrance, CA, USA - February 5th, 2014 - All across the United States, health-conscious individuals have been hearing about the wonderful benefits of drinking alkaline water, otherwise known as Kangen Water(TM). The trend is growing increasingly popular, as raving consumers spread the word about positive effects ranging from increased energy to weight loss, cancer cures and more. The Enagic(TM) corporation, creator of Kangen Water(TM) machines, is often cited as the major reason for alkaline water spreading so quickly throughout the US. They’re a direct sales organization that relies on in-person demonstrations and take-home samples to reach new customers. Enagic(TM) currently accounts for the highest sales numbers in the industry by a wide margin. But recently, many customers complaining of sky-high prices have found similar products from online competitors for less than half what they charge. "There are lots of machines out there, besides Kangen(TM), and generally at a much lower cost," said alkaline water enthusiast Michael Petrovich of Vancouver, Washington. A simple search on Amazon reveals many competing products with far lower prices and positive feedback. 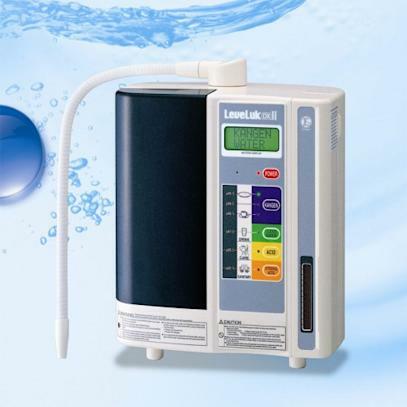 The Alkalux Alkaline Water Ionizer, currently priced well under $2000, is one of the leading brands. In fact, a quick Google search revealed an additional $50 off coupon using the code: NJ2HADYC for Amazon purchases. "Even though I wish it cost less, the Alkalux is more fairly priced than its competitors and it is not made in China," says Chuck Long of Las Vegas, Nevada. While Enagic’s(TM) multi-level marketing business model is effective at spreading the word about alkaline water, it comes with a very high cost. Its 8-tier commission model means that every time a customer buys through an Enagic™ distributor, 8 levels of sales people are paid hefty commissions. That generally adds up to almost two-thirds of the price of their machines themselves. It also ends with Enagic’s(TM) machines costing, on average, more than double what comparable products are sold for online. Other brands (like the Alkalux) without these bloated expenses have made water ionizers much more affordable for the everyday consumer. "It’s important to ask yourself what your goals are for owning the machine. If you’d like become a multi level marketer, then Enagic may be a good choice for you … But if you’d just like to get it for improving your health … then there are many other options," says retailer Ionizer Oasis in their statement on Kangen Water™. After a number of years being the biggest name in the market, Enagic(TM) appears to be starting to lose its grip on the competition. The Alkalux company certainly seems to think so. The front page of their website, Alkalux.com, makes no mention of Enagic(TM) or Kangen Water(TM) at all. It does state, "Alkalux water ionizers are the optimum solution for transforming your ordinary household tap water into clean, chemical free alkaline water." Only time will tell. As for Mr. Petrovich, his mind already seems to be made up. "There is no such thing as ‘Kangen Water. (TM)’ That is a marketing term," he said. Visit http://www.alkalux.com for more information.